Step 1: Uninstall iTunes 12.1.2 or any other version of iTunes from your computer completely. To do this, navigate to Control Panel > Uninstall a program. Select iTunes and all of its related components and uninstall them all. 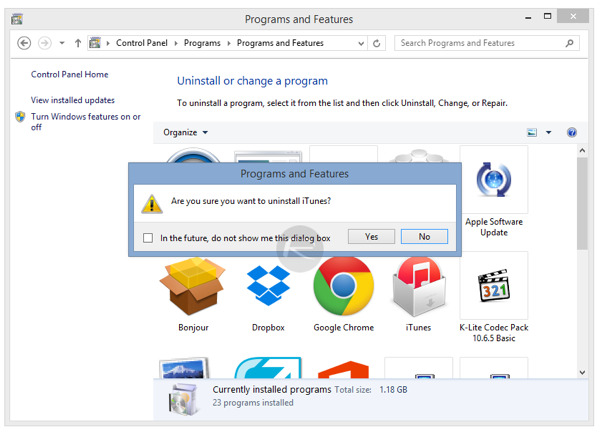 You can find more on how to completely uninstall iTunes from Windows here: How To Downgrade iTunes 12.1 To 12.0.1 On Windows Or Mac [Tutorial]. 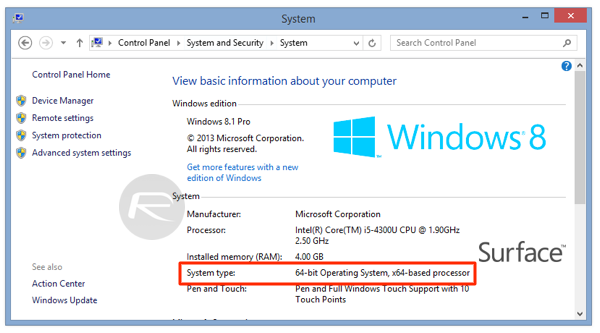 Step 2: Now check to see System type of the version of Windows install on your computer by navigating to Control Panel > System and Security > System. Step 3: If it’s 32-bit Operating System, download 32-bit iTunes 12.0.1 from here. You can get 64-bit version of iTunes 12.0.1 from here for 64-bit Windows. Step 4: Once you have installed the older version of iTunes on your computer, simply download the latest version of TaiG 2.0 from here: Download TaiG 2.0 Jailbreak iOS 8.3, iOS 8.2 And iOS 8.1.3 For Windows. 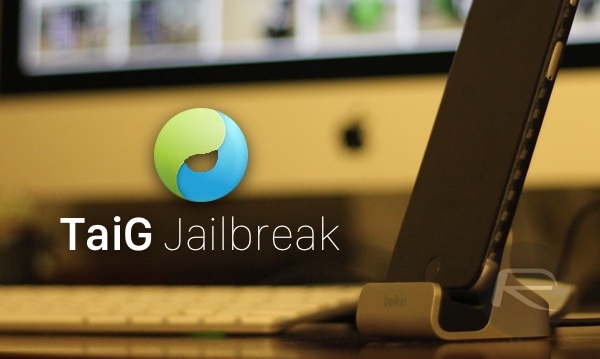 Step 5: Now follow our jailbreak guide for TaiG 2.0: How To Jailbreak iOS 8.3, 8.2, 8.1.3 With TaiG 2.0 [Tutorial]. This issue should now be fixed and your jailbreak should be successful. If you still encounter any problem, let us know about it in the comments section below. Update: We have now posted a complete separate guide on troubleshooting and fixing all other issues with TaiG jailbreak, check it out here: Fix TaiG iOS 8.3 Jailbreak Error 1101, 1102, 1103 And More [Troubleshooting]. Thx WORKED! I had to keep it unlocked. I had the same issue for almost two weeks straight. I downloaded itunes 12.0.1.26 and uninstalled and installed to many times to count and I tried almost every trick in the book. The issue for anyone who has ios 8.4 and needs to have a clean firmware copy, apple obviously stopped signing it now. So follow this step by step and it should lead you to success. (1) If while uninstalling itunes, you didnt remove the programs in this order you will need to uninstall all apple programs in this order. (2) Plug your device (if a laptop) on the right 2.0 usb port (if desktop) back 2.0 usb port. Pull up itunes and make sure itunes recognizes your device. You can check Device manager to make sure Apple Mobile Device is installed under usb if your having issues. 2) While still in icloud scroll to the bottom and click “sign out”. It will ask you if you want to keep or delete all info on your phone click delete. 5) Download Taig 2.4.3 off taig official site. Unzip file and save to desktop. Also temporarily disable any firewall, anti virus software, or malware protection services. 6) This is the most important part! Make sure your device is still plugged into the computer and go into settings ,General ,reset and then click “Erase all Content and Settings” It will ask you if you want to delete all, click delete all. ( Your back up will have all your info saved. Since you cant get fresh firmware from apple any more this is the closest way to get it clean because if you have ever backed up your phone or downloaded firmware over wifi taig will not work properly and will get stuck on 20%) At this point your iphone will start to restore and upon completion it will ask on itunes to set up new iphone or restore from back up. Click restore from back up and itunes will take a minute to completely sync. 7) Once sync is complete close all open windows on your computer. Right click on the Taig 2.4.3 and run as admin. Taig should detect your iphone. Uncheck the second box, make sure your Iphone is off the lock screen and press start. Do not touch device or let your phone go to lock screen at any point. Unless it restarts at 20% then upon the device turning back on slide to get off the lock screen. At this point you should see that jailbreak was a success. Your phone will restart and you should see cydia on your last screen. Click on cydia and let it fully download and your good to go. I hope this has helped i spent many nights going through my system checking everything until I tried the “reset setting and delete content” option. I dont think i forgot anything but if i did or you have any questions let me know. Thank you sir! I tried and tried to jailbreak wife’s old iPhone 4s with IOS 8.4 on it (running very slow) and had zero luck. Tried everything. Followed your instructions to and now my phone is jail broken. Thanks again. No problem Chad I’m glad it helped you out and you finally got your wife’s phone jail broken. I know you were as stoked as I was to see that screen after trying everything. Take care bro! omg dude this is the only solution that worked, after three days trying everything. Thank you so much for posting it, really appreciate it. I just wish I had read your instructions three days ago! Thanks again. No problem! I’m glad it helped because I spent way to long looking for a solution and all of the other guides were focused for solutions to get around the error and not completely fix it or left out key steps. So after the completion popped up, I wondered how many others had the same problem and I had to get the word out.